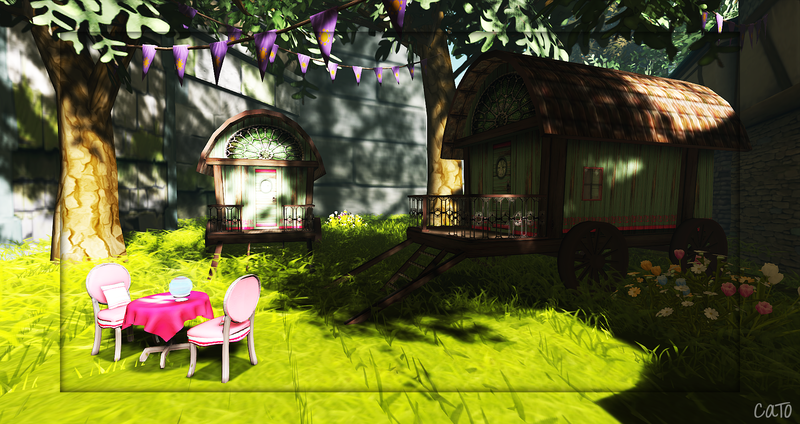 Today the Fantasy Faire opened to the public and what a wonderful day in Second Life it was! 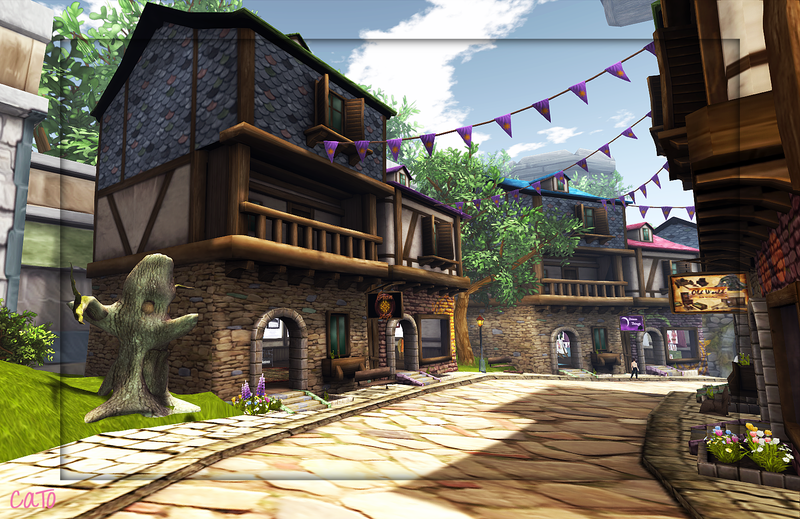 Asset server troubles and whatnot with a, for me hilarious, consequence: I tried on the free, low lag, avatar you can pick up at any of the landing-points in the Fantasy Faire and I have not been able to get rid of the green skin ever since! – I even went out dancing to Ambrosia wearing it, as I had no other option!….Oh well, hopefully all will be better tomorrow? The other nasty side-effect of all this is that it is advised not to buy anything, as stuff will likely not get delivered or it won’t rezz :(. 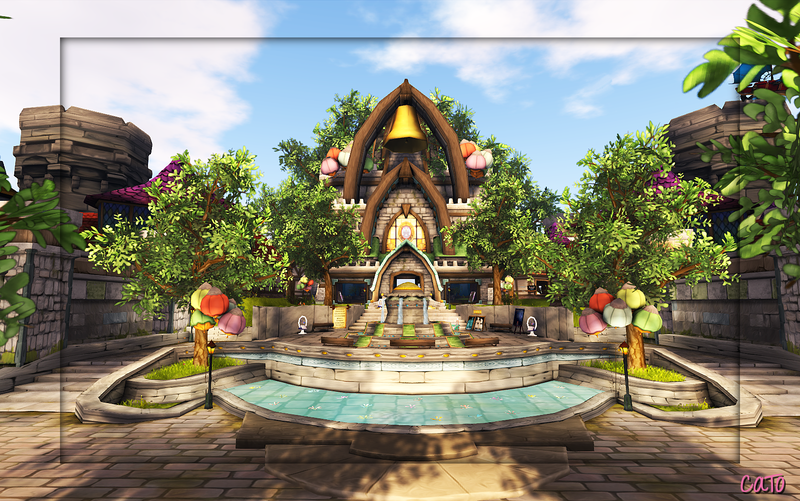 I visited Lumenaria today, a sim created by Kayle Matzerath of Garden of Dreams and sponsored by rynn Verwood of Solarium, and it is a delightful place! 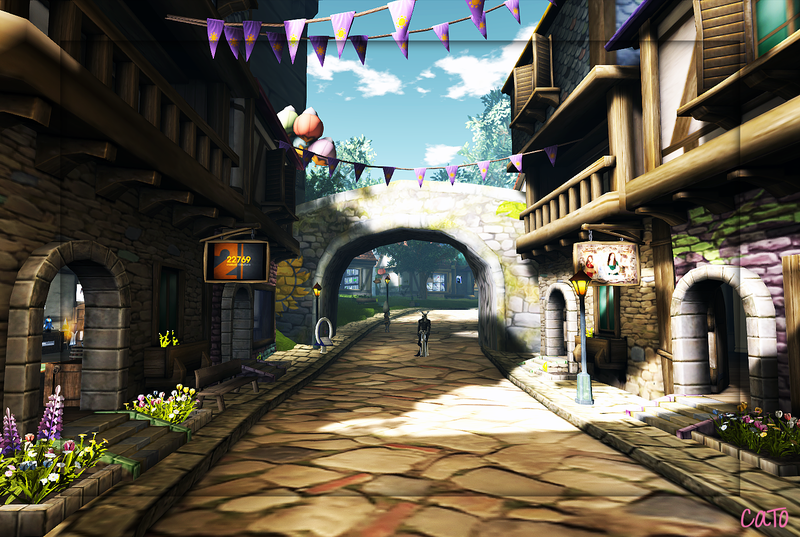 A village/town, with lovely streets and small buildings, surrounded by some sort of castle-wall. Sweet flowers allover and so many details to ‘oooh and aahhh’, you really feel like walking around in a fairy tale! A full list of the vendors/shops in this sim here!